Does it ever feel like you spend way more time than you should have to thinking about food? What you should eat and shouldn’t eat; how many meals you should eat; are any foods best for fat loss; what’s best for improving overall health; is there such a thing as an all-you-can-eat peanut butter diet; are total calories or food quality more important. Not really. Eating healthy seems complicated because of the abundance of information on food, weight loss, disease prevention and what you should and shouldn’t eat to look better naked. It’s no wonder people are frustrated and discouraged because they’ve tried popular diets that promised to be the diet for effortless fat loss: low fat, low carb, vegetarian, intermittent fasting, ketogenic, and all the rest. It’s not uncommon for someone to read the information below and scoff that it’s “too simple.” They want more than the basics. They think a diet that emulates their favorite Instagram fit-pro’s habits will yield better results. They think they’re above the basics. The problem, however, is that most people have not even mastered the basics. Complex, restrictive diets that eliminate foods or food groups don’t produce better, lasting results — they just reduce calorie intake. People falsely think they’re more effective because of their complexity. These unnecessarily obsessive, restrictive diets can lead to things you don’t want like binge eating, negative body image, or incessant yo-yo dieting. Complex or complicated does not mean better. Don’t delude yourself into thinking you need something more advanced if you don’t apply the information shared here for months at a time. Do You Want a Diet or a Lifestyle? Most diets have a timeframe. You follow it for 12-16 weeks (or until your willpower bleeds dry) and then you’re done and go back to eating whatever was normal pre-diet, or worse because you can’t stop eating all the stuff that was banned from the diet. Sound familiar? Someone who will stand on stage in a bikini to be judged will follow a diet that meticulously tracks calories to reach ultra-low levels of body fat that’s meant to be sustained for a short period of time (people often forget this part and think it’s easy, or healthy, to have very low body fat levels long term). Problems arise when the average person who just wants to feel great and look better naked attempts to mimic those diets. Most people need to create a sustainable lifestyle built upon simple habits that can be maintained long term. Not for 12-16 weeks, but for 12-16 months and beyond. A major distinction between a diet and lifestyle: quick-fix diets instill a perfection mindset (never missing a meal, hitting the exact calorie target every day, never “cheating,” you go all in); a healthy-eating lifestyle is about consistency, not perfection, so there’s no burden or stress of thinking you need to be perfect day in, day out — it is not an “all or nothing” game. 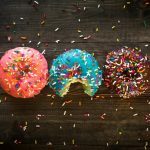 Rigid diets that create a perfection-obsessed mindset around food can drown you in their monstrous wake of negative body image and disordered eating habits. You can only force yourself to follow a style of eating you hate, or that dominates your life, for so long. Eventually you’ll say Screw it! and throw your hands in the air as a declaration of frustration and signaling the end of the diet’s lifespan. Many people mistakenly look at eating healthy as being torturous, bland, boring, difficult. 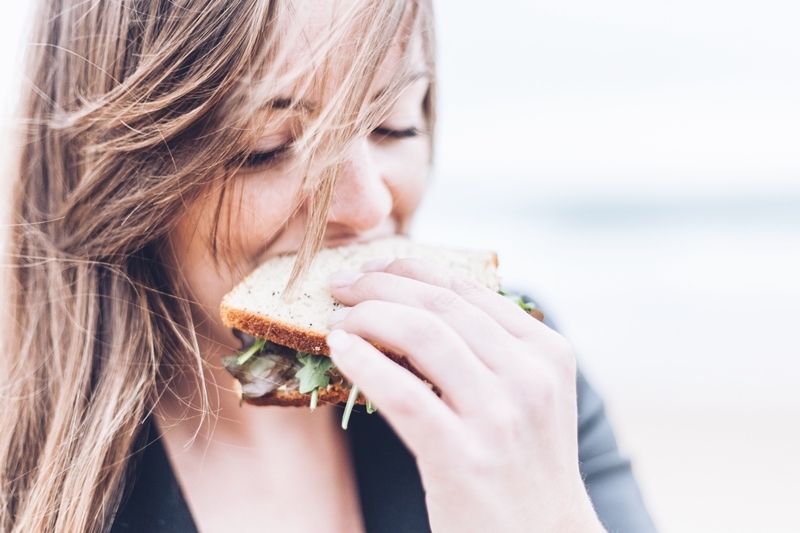 Establishing better eating habits may be difficult in the beginning, depending on your current food habits, but you must focus on the pleasure that accompanies the process. The pleasure of nourishing your body; properly fueling and recovering from workouts; forging new habits that serve you; actively investing in your health; proving to yourself you can establish rewarding, positive habits. If you get frustrated from trying to find vegetables or lean-protein sources you enjoy, or have trouble hitting the 80% whole-food target discussed below, refocus on the pleasures you should be reaping from this lifestyle change. Does It Have to be about Fat Loss? Tips for weight loss are laced throughout this article, because many people want to lose fat. If you’re burned out on constantly thinking about fat loss, watching what you eat, or otherwise being on a never-ending journey of trying to whittle down to a smaller size, don’t think about fat loss. There are, as you can see, lots of reasons to eat well that have nothing to do with fat loss. Depending on your history it may behoove you to say Screw fat loss! and focus on other healthy eating benefits. Whatever your why may be for wanting to eat healthy, here are the foods that should make up most of your eating choices. 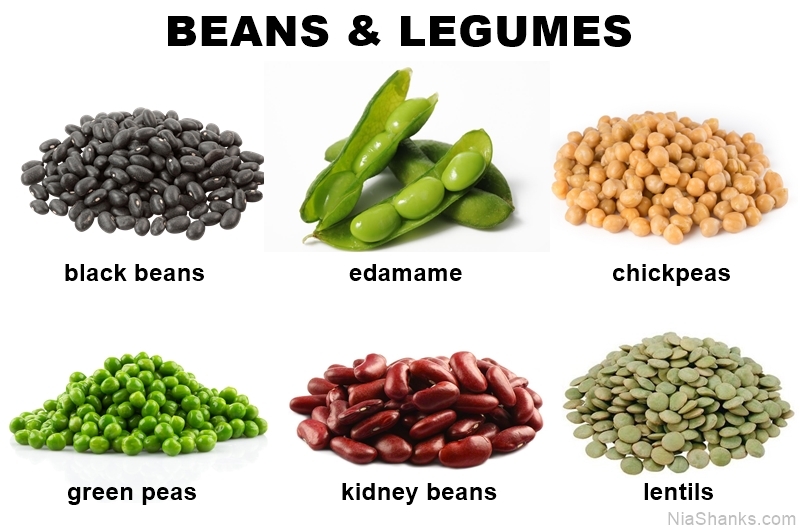 The common thread connecting these foods — they’re minimally processed whole foods. Why have these foods been chosen? Because eating mostly nutrient-dense whole foods, including lots of plant-based foods, has been shown to be most important for improving health and warding off disease. 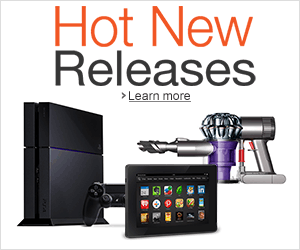 The following images and examples are not exhaustive, and many could fall in other categories. Eggs, for example, could be listed in the fat and protein groups but appear under fats; corn is a grain when eaten as popcorn but considered a starchy vegetable when consumed as corn on the cob. Don’t get obsessed with minor details but use this as a guide for building meals and snacks. 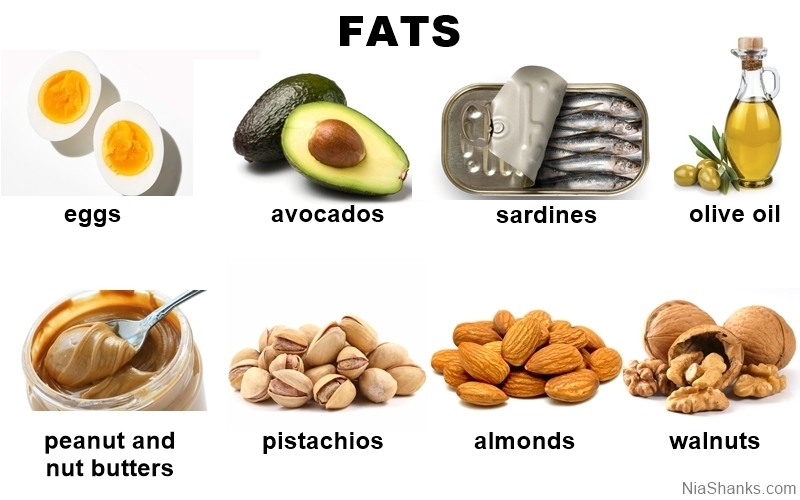 These whole-food sources are packed with healthy fats. Other examples not shown include fatty fish like salmon and mackerel; plant sources include flax seeds, olives, chia seeds. 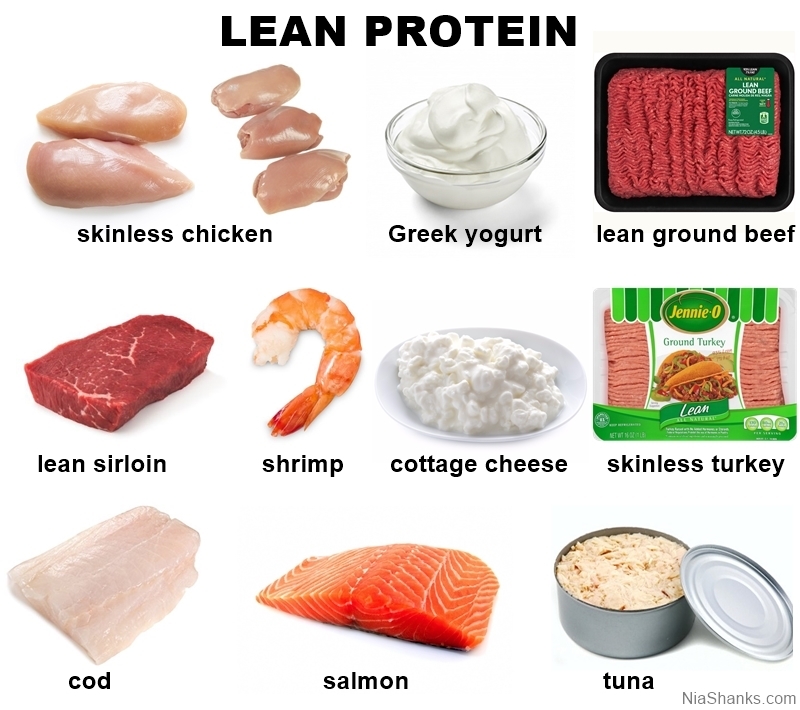 Notice that lean sources of protein are shown. Fattier cuts of meat and dairy are fine but shouldn’t make up the bulk of your protein choices. Why two vegetable categories? Because some people rely too much on the starchy vegetables and eat nothing but potatoes. Potatoes are healthy and satiating, but don’t neglect non-starchy veggies. A good rule of thumb is to “eat the rainbow” as often as possible so you get tons of nutrients in a fiber-packed package. 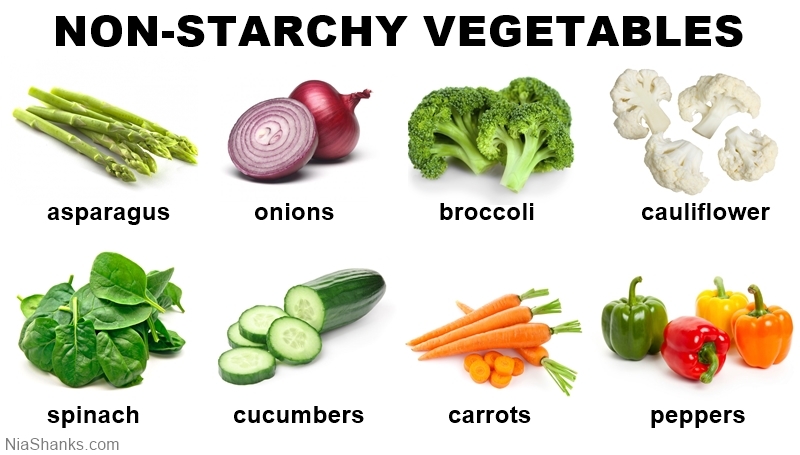 Non-starchy veggies are a great way to increase satiety because they take up a lot of space in the stomach without packing a lot of calories (i.e., they’re high-volume, low-calorie foods). Bake them, sauté them, grill them, steam them, eat them raw, turn them into noodles and use in place of traditional pasta, blend them in smoothies. Doesn’t matter how you get them in your belly, just eat them. Tasty protein and fiber combined in a cheap package, especially if you buy dried beans and prepare them yourself. If you don’t eat meat, or much of it, this will be one of your main sources of protein. Even if you do eat meat, include these tasty foods. This category also includes foods like whole wheat pasta and breads. Why is white rice shown instead of brown rice — I thought brown rice was “less processed” and therefore healthier, you may be wondering. There’s not much nutritional difference between white and brown rice beyond fiber (which favors brown rice), so let your taste decide. Some people find white rice easier to digest than brown rice. In the end, choosing between them is a minute detail not worth obsessing over. If you don’t use herbs and spices with your cooking, start. I’ve cooked countless meals that were bland and boring, but the right blend of spices made these meals delightfully craveable. 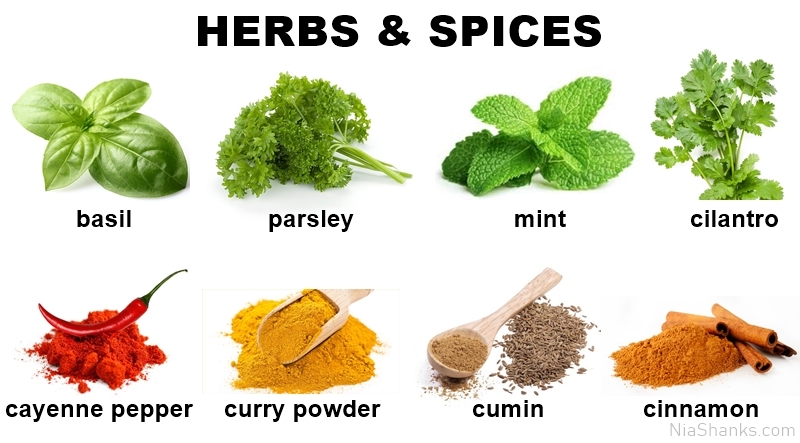 Find recipes that use herbs and spices if you’re not a creative cook. They can make the difference between a meal you feel like you have to choke down and one that creates a symphony of flavors on your tastebuds. Choose from fresh or frozen. Canned fruits are okay if they’re packed in water and don’t have added sugar. Buy what’s in season or on sale to save money. Keep apples and other easy-to-grab fruits nearby if you tend to snack frequently. Sparkling water is another option and the carbonation can help curb appetite. Calorie-free soft drinks are okay in moderation and can help satisfy your sweet tooth. One of the simplest changes worth making is swapping calorie-laden beverages for their calorie-free or low-calorie equivalent. If you can only drink coffee with cream and sugar, that’s fine. You don’t have to force yourself to drink black coffee. This can only become something that might need to be kept in check if you use a lot of cream and sugar, or drink multiple cups of coffee throughout the day (then those spoonfuls of sugar and cream add up). Want a low-calorie way to flavor your coffee? Mix a sugar-free hot cocoa packet (they’re only 25 calories) in your coffee. 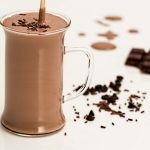 Makes a tasty low-calorie mocha. What is “Most of The Time”? The above food categories fall under the umbrella of foods to eat most of the time, meaning they should make up at least 80% of your food choices; this can be a daily or weekly average. 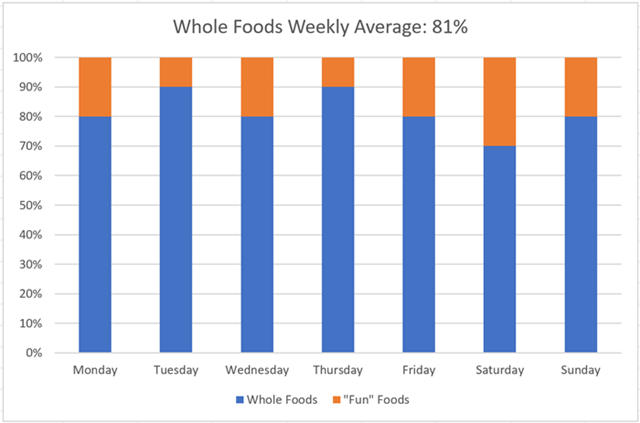 The following image shows the percentage of whole and “fun” foods (covered next) consumed each day over the course of a week — the whole-foods average is 81%. You know what to eat at least 80% of the time, so let’s go over the foods that can make up the remaining 0-20% depending on your needs and preferences. But first, notice what is not being said. These foods are not bad, evil, forbidden, dirty, off limits, or guilty pleasures. Eating them does not make you bad, ugly, shameful, disgusting, a failure or anything else someone who wrote a diet book that bans these foods may have said you’d be if you enjoy them. Nor will eating these foods occasionally in reasonable amounts miraculously cause you to gain body fat. Only eating more than your body uses for a prolonged period causes the accumulation of body fat, and this can come from eating an excess of anything. The eat less of these foods are typically calorie dense, not nutrient dense like the whole foods above. They’re hyperpalatable by design typically using a combination of sugar, fat, and salt. For a fascinating look at how foods are intentionally and painstakingly designed to keep us eating more and wanting to eat more, read The End of Overeating. 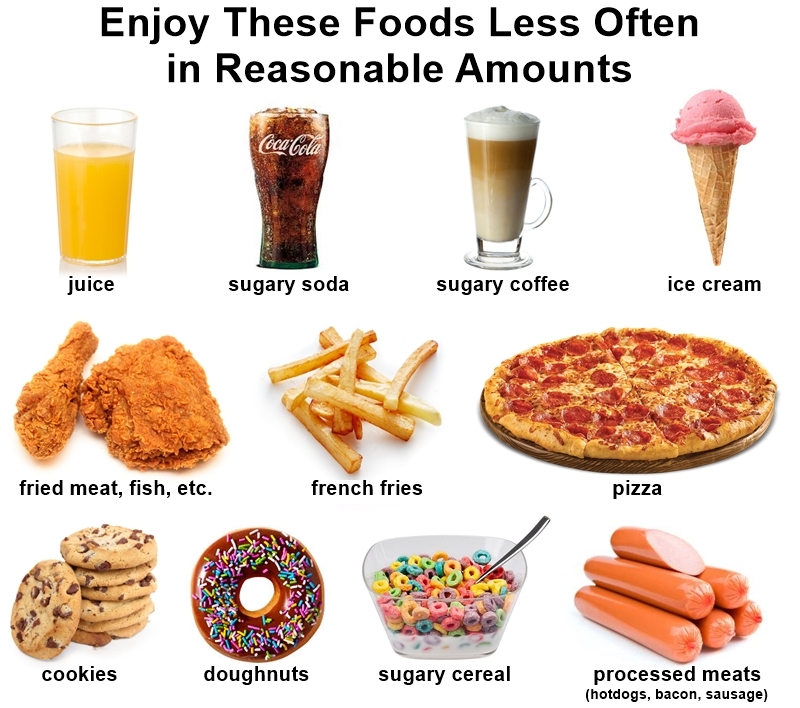 The best guideline for the eat less of these foods: be consciously selective of what you will enjoy. Actively choose. Don’t just eat something because it’s there or someone offers it to you. Unless you grow it or hunt it yourself, your food is technically processed. 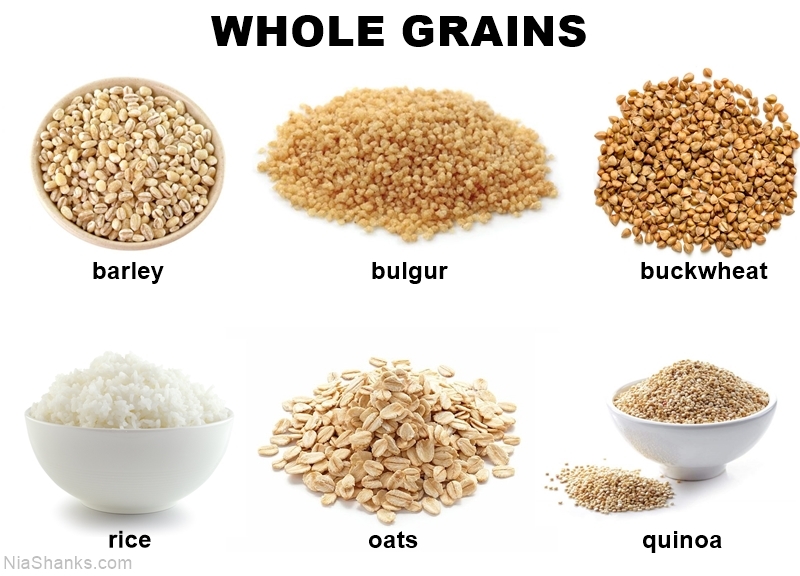 Plain oats are processed, but they’re considered a whole food. Pop Tarts are processed, and they are not a whole food. Food-of-the-gods peanut butter is processed; it’s a good source of fat that delivers some protein and is considered a whole food. Protein powder is processed, yet it’s a staple in many people’s eating choices because it’s a food source packaged in a convenient form, like a stick of string cheese. Aim to eat mostly minimally processed foods. There’s a difference between oats and peanut butter and Pop Tarts and fried mozzarella sticks. And, remember, if Pop Tarts and mozzarella sticks happen to be two of your favorite foods, you can, and should, eat them in moderation. Why is it important to eat your favorite foods, even if they’re heavily processed or deep fried and not so healthy? Want to throw yourself into a relentless battle with disordered and obsessive eating habits? The best way to avoid that miserable struggle (i.e., the ugly side of health and fitness) is to not have “forbidden” or “off limit” foods, or to attempt to abstain from your favorite foods or food groups because you think they’re “bad” or solely responsible for fat gain. Do not fall into the disordered-eating trap of labeling foods “good” and “bad” or becoming obsessively neurotic with what you eat. Optimizing physical health is important and is achieved by eating mostly whole foods. Mental health is also important yet is often omitted from a diet discussion, and that’s a mistake. A way to help ensure you don’t develop obsessive, unhealthy habits with food is to have flexibility built into your food choices. Make room for your favorite foods. If a variety of whole foods make up at least 80% of your daily/weekly food choices, you can enjoy other favorite foods in moderate amounts. You don’t need to have an “all or nothing” mentality that rigid diets create. You needn’t “eat perfectly” all the time. Do the right things most of the time. It’s time to stop looking at food subjectively. A cupcake is not a “bad” food that will instantly put fat on your body. A spinach salad with low-calorie dressing is not a “good” food that will instantly remove fat from your body. Analyzing food like that exacerbates, or leads to, disordered eating habits. If you find yourself looking at food through a good/bad lens, make it a priority to catch yourself and start reversing that mindset. If you typically look at a tasty cupcake and think I shouldn’t eat this, it’s bad, and it’ll cause me to gain fat, become aware of that response and change the conversation. Recall that it’s a piece of food; it’s not bad or evil. You can have it, enjoy it, and then move on. This is a lifestyle, and your favorite foods belong in your lifestyle. To get stronger and change the shape of your body you must show up to the gym week after week and put in consistent effort. You can’t go sporadically and expect noticeable results. Building a healthier mindset with food requires the same commitment and consistent practice. You know which foods should make up the bulk of your eating choices, and how to work in your other favorite foods. Great! Why do you need to “tailor” those guidelines to your needs and preferences? Because doing something you enjoy and that fits into your life matters. A lot. An eating style is only as effective as your adherence to it. Take the time, if needed, to see how many meals per day you prefer to eat and any other practices you need to adopt (or avoid, more on this below) to reach your goals. Maybe you prefer to eat two big meals per day because you love feeling full and eating smaller meals causes you to overeat. Maybe you prefer carb-rich foods, so a low-carb diet would be worse than getting a root canal from a drunk dentist with a shaky hand. Maybe you need to measure your protein intake and loosely track calories to reach your goals. 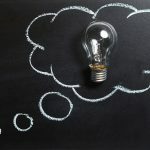 Maybe you don’t know what you prefer because you never took the time to ask yourself, so you have to try a few things to see what works best. That’s fine too. Becoming your own guru and approaching your eating preferences like a scientist can be a good thing. Take a pragmatic, objective approach to your eating choices. Keep emotion out of it. Take note of what works and keep doing it; if something doesn’t work or you absolutely hate it, scratch it off the at-least-I-tried list and move on to the next thing. Does Every Meal Have to Look Like This? There’s nothing wrong with having a vegetable, protein, and starch on your plate, but it doesn’t mean every meal has to be made of single ingredient foods, each having its designated spot. Some people love using that template to design their meals because of its simplicity and the ease it provides for prepping lots of meals at once, but not me. Some of my meals look that way, but it’s certainly not mandatory. Let your preferences determine how your meals look. Make what you enjoy eating. Yes. Using an extreme example, you can go on a Snickers diet and lose weight if you stayed in a caloric deficit. Sure, you’d get to eat nothing but Snickers every day and lose weight, but you’d likely be ravenous most of the time since an all-Snickers diet isn’t very satiating. And, not to mention, you wouldn’t consume enough fiber, vitamins, and other nutrients to optimize health. The point here isn’t to eat nothing but junk — it’s to emphasize the point that no single food or food group causes fat gain on its own. Does That Mean Food Quality is Less Important? Not at all. Just because you can lose fat eating nothing but Snickers or McDonald’s doesn’t mean food quality is less important. As stated above, maximizing overall health is the primary objective, and eating mostly whole foods does that. Food quality is also important for energy levels and satiety. Let’s say your body needs 1,900 calories per day to stay the same (i.e., if you burn 1,900 calories and eat 1,900 calories, your body composition won’t change). You could eat 1,600 calories worth of Snickers bars each day for a month and you’d lose weight from being in a caloric deficit, though you probably wouldn’t feel too great and would likely experience ravenous hunger. Some people claim you’d instantly pack on fat eating nothing but Snickers bars because of the insulin response, but that’s incorrect. An insulin response won’t lead to fat storage in the absence of a caloric surplus. Contrast this candy-bar diet with eating 1,600 calories of nutritious whole foods from the eat more of these foods discussed above for a month and weight loss would occur, but unlike the all-Snickers diet you’d experience greater satiety from the higher intake of protein and fiber and higher volume whole foods provide. 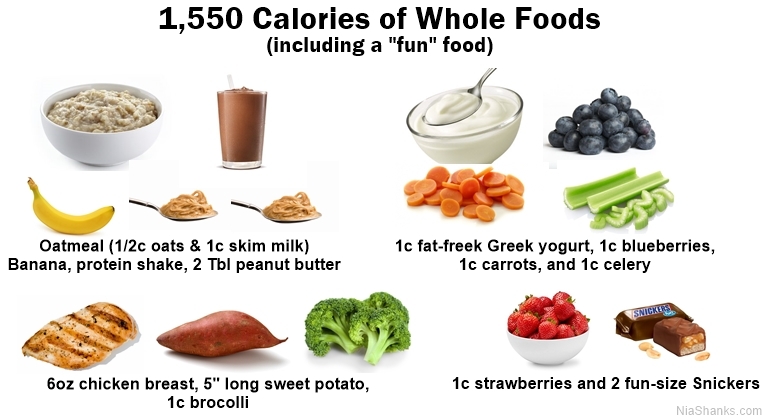 Whole foods provide greater satiety than heavily processed calorie-dense foods. And, bonus, as you can see, Snickers can still be a part of a mostly whole-foods lifestyle. Deprivation has no place in eating healthy. Moderation is a habit worth developing. This isn’t to suggest the results from both diets, if all else was equal, would be identical. 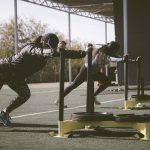 If strength training was part of the regimen you may lose more fat and build more muscle with the whole-food diet from consuming more nutrients and protein than the theoretical all-Snickers diet; no doubt your health would benefit from the former. I would rather saw off the little toe on my right foot with a rusty pocket knife than count calories. That exercise would send me plunging headfirst back into obsessive, disordered eating habits. That is why I don’t count calories, and why many of my clients with a similar history don’t either. It creates more problems than it solves. There are plenty of people who like tracking calories. It’s a lifestyle practice they enjoy, or one they find necessary to achieve and maintain their goals, otherwise they get off track quickly. The option of tracking calories varies from person to person and depends on their goals and needs. Do what works best for you and avoid anything that exacerbates issues with food. If you’re not sure what you need to do, start by applying the above information for at least six weeks and see what happens. You very well may not need to do anything else. Why make things more complicated than necessary? Try the simplest things first, and tweak only if necessary. Some people don’t need to count calories (or disdain the mere thought of doing so) yet could benefit from tracking certain foods or macronutrients. Let’s say you want to lose weight. You aptly apply the above information for six weeks but don’t feel like you’ve made progress, and you don’t want to resort to counting calories. In other words, what should you do if you’re eating healthy but still can’t lose weight? Most people don’t overeat lean protein, non-starchy vegetables, or fruits. You can track the two most likely culprits preventing fat loss: fat sources and “fun” foods. Fat sources are calorically dense, and the calories can add up quickly. For example, one-quarter cup of mixed nuts contains 160 calories. If you eat out of the container instead of putting one serving into a bowl, you may end up eating one cup (I’ve been there and done that). Instead of eating 160 calories, it was 640. If you frequently eat high-fat foods like nuts and nut butters, avocados, cheese, olive oil drizzled on salads, track or measure those fat sources for a week. It may be helpful to measure a serving size of those foods to become aware of what a serving size truly is. I love carbs. If I had my way a bucket of mashed potatoes would be considered one serving. If you eat more carb sources than fat, track your starchy-vegetable and grain intake. 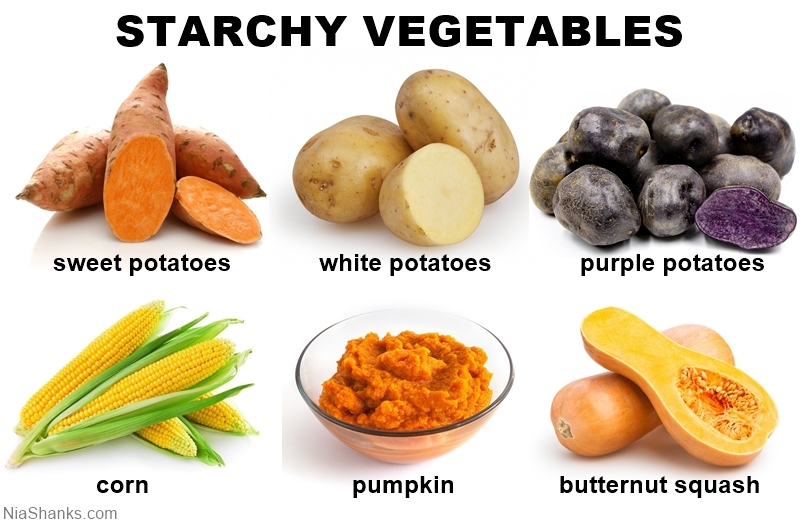 You could try replacing some of the starchy vegetables with non-starchy vegetables (since they’re lower in calories for an equal volume) or simply decrease the serving portions a bit: instead of eating two heaping serving spoons of mashed potatoes, eat one. “Fun” foods can also be easy to overeat. It’s not hard to eat a few too many tasty cookies or French fries or doughnuts. You may be eating more of those than you realize. Track everything you eat and drink for a week to see what’s going on. 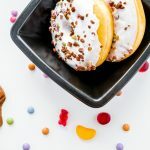 You may discover you snacked on a doughnut a few times throughout the week and drank a few sugar-loaded lattes you weren’t accounting for previously. Choose which “fun” foods to enjoy more diligently. 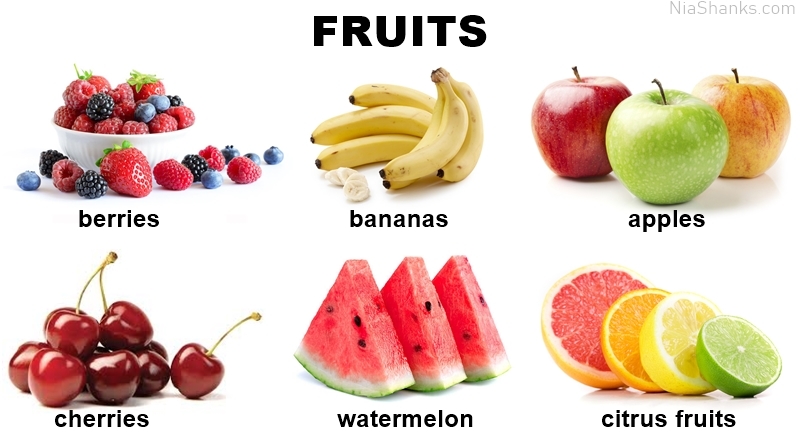 Either eat a smaller amount and/or swap them out for lower-calorie whole foods. If fat loss is the goal and you’re not losing weight, this means, very simply, that you’re consuming too many calories. Find simple ways to consume fewer calories: eat more veggies instead of whole grains, swap out sugar-laden beverages for calorie-free drinks, eat a good source of lean protein with all meals, track fat sources, eat more high-volume, low-calorie foods like non-starchy vegetables and fruits. It really can be that simple. Want to Really Change How Your Body Looks? Healthy eating and strength training go together like peanut butter and jelly. While proper nutrition can improve your health and is instrumental in losing body fat, an intelligent progressive strength training program is the tool that changes the shape of your body. 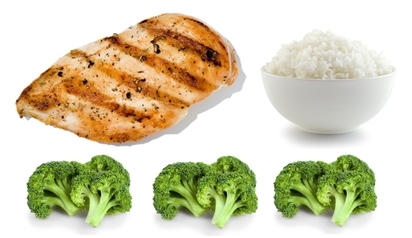 Eating well can help you lose body fat, but only strength training can help you maintain, and build, muscle. For maximum results, combine the nutrition guidelines here with a progressive strength training program. Check out the women’s beginner strength training guide or Lift Like a Girl workout template to get started.